Desk chair in mahogany with headband back, front legs "Jacob" and feet back saber. 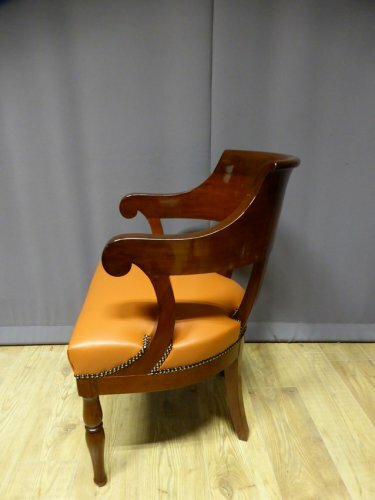 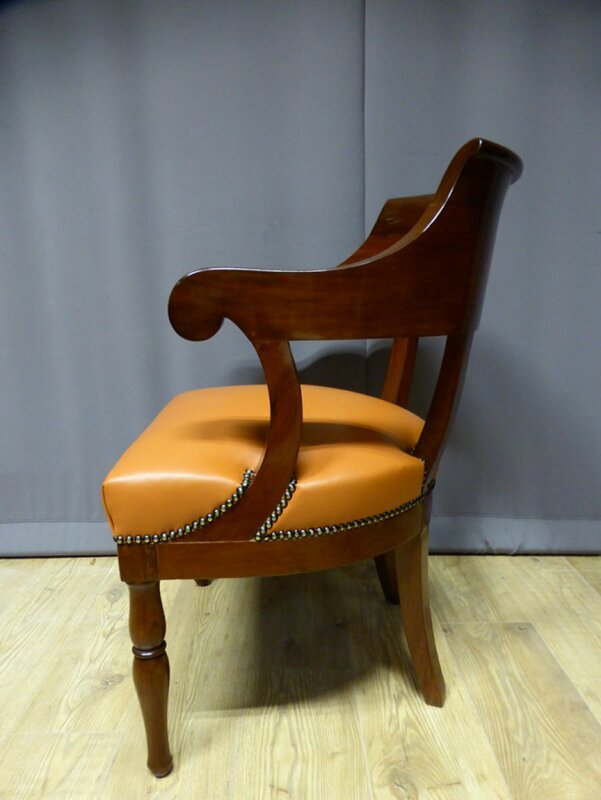 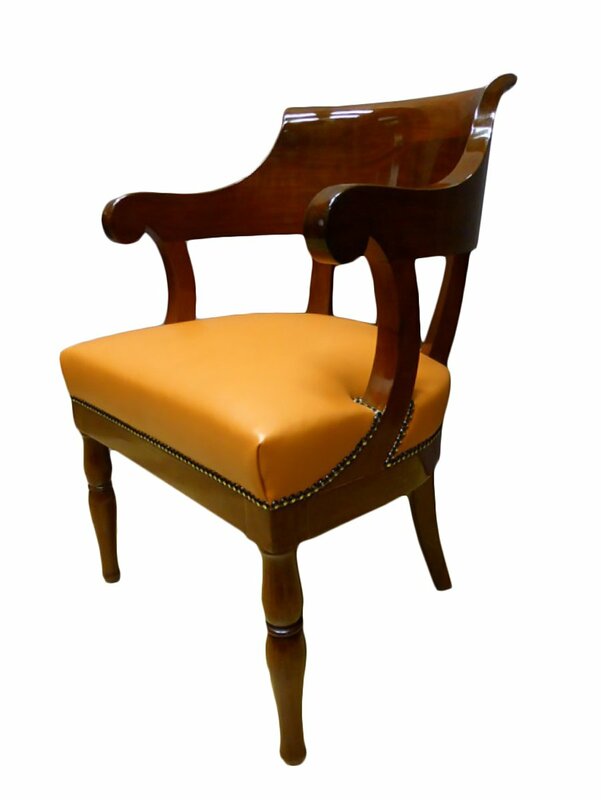 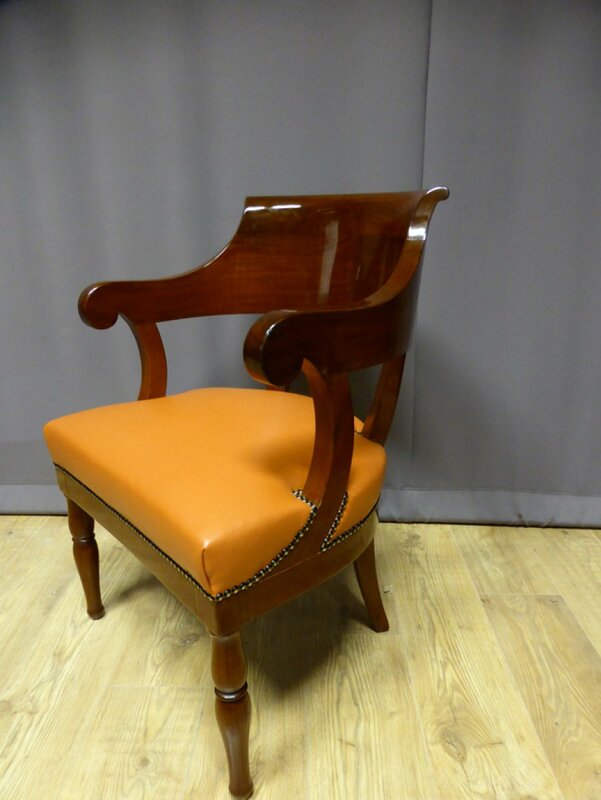 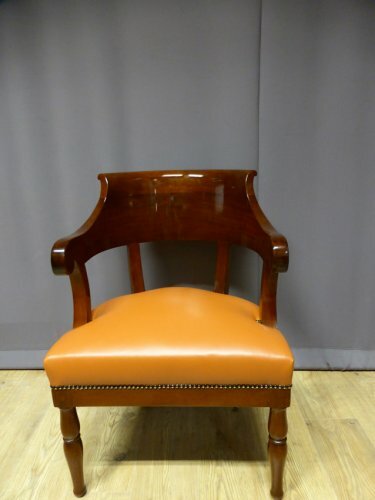 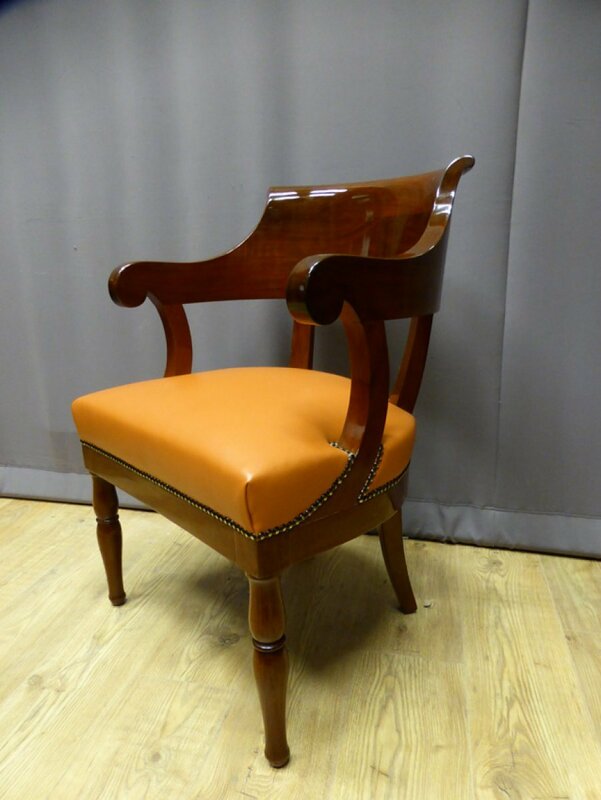 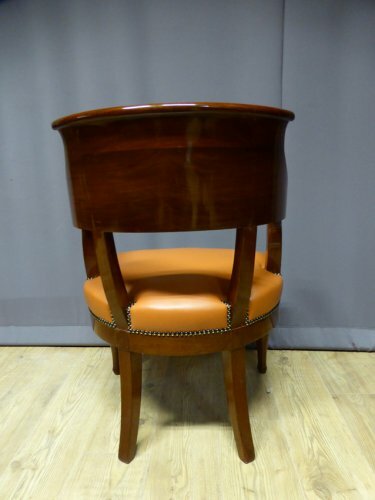 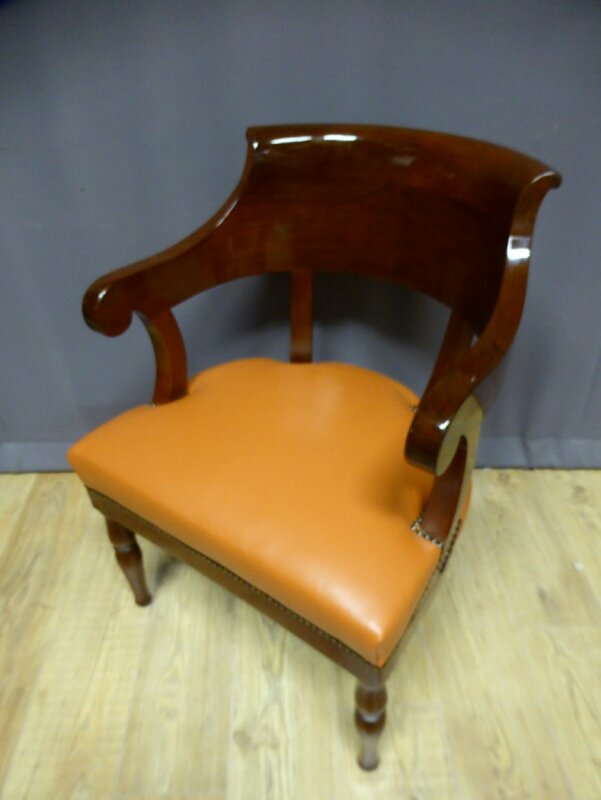 This armchair is in perfect condition, it has been varnished and the seat upholstered in a slightly orange leather. 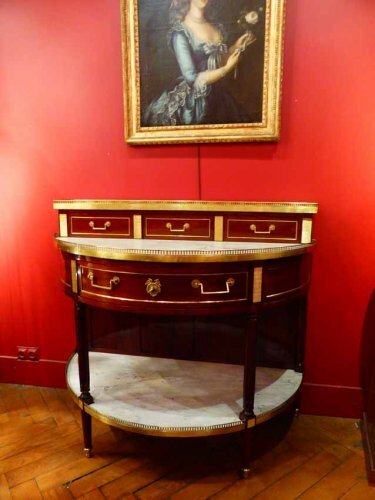 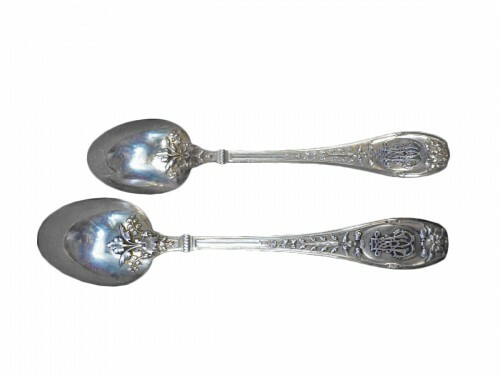 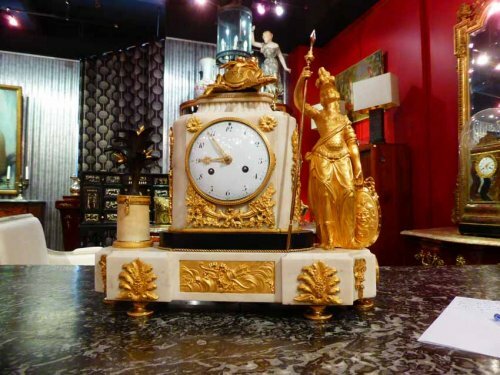 Restoration Period.